Over the last year I’ve planted – well I was going to say 30 or 40 roses, but after looking on my blog, where I endeavour to keep a record, it’s well over 50. I’ve had little experience with roses in the past so this has been a steep learning curve and one that I’m sure has caused distress to some of the new roses. First lesson was to keep clear of bare root stock. I nearly killed half a dozen that are now recovering in my rose nursery/graveyard. Some won’t make it back. A few have struggled, probably due to a combination of position, soil and lack of water. But I’m learning and things are on the improve. Mostly the roses have been a big success and I’m just starting to see their potential. The rear of the front wall bed has been filled with old fashioned climbers and ramblers, with the plan that they will tumble over the ash brick fence onto the footpath side. Whilst I love my old ash brick wall, it does look a little bleak and plain from the footpath side. This should make a stunning show for much of the year for passersby. 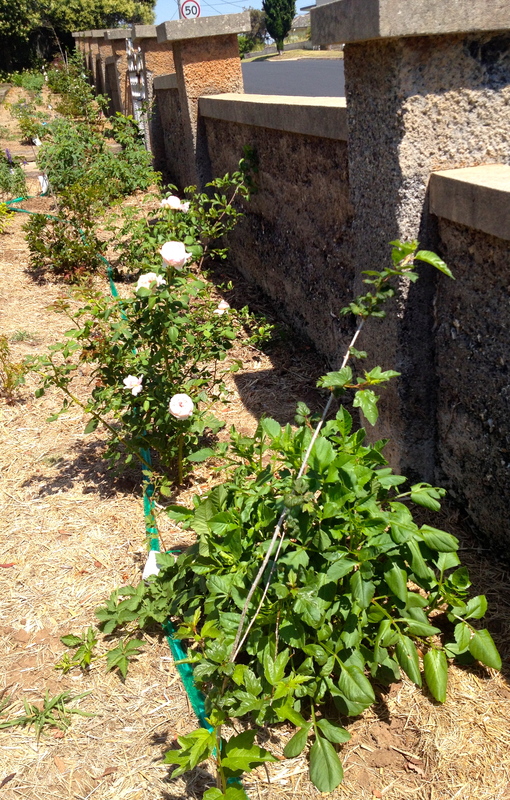 The roses planted over the last six months are now just beginning to peek over the wall. 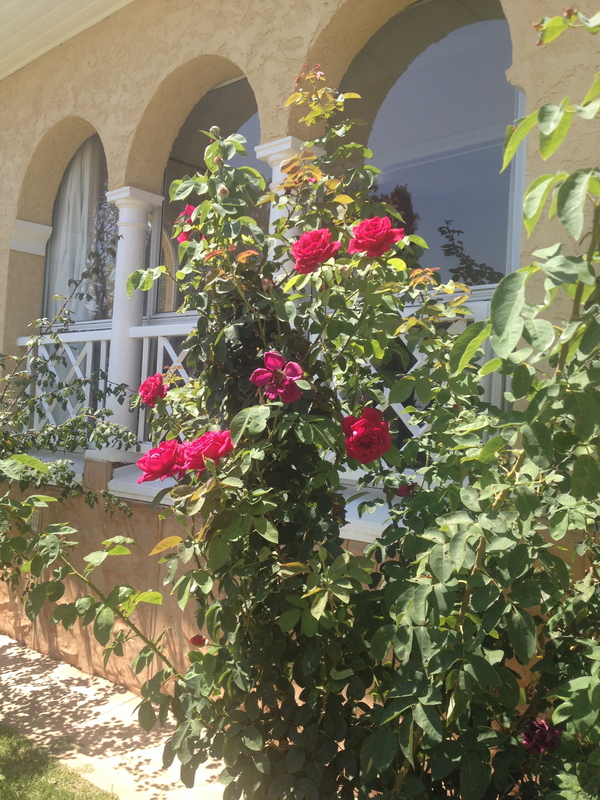 Whilst it is very hot and dry here, the roses seem to be enjoying the weather and are having a flush of flowers. The Grotto roses are not disappointing and are growing strongly with the Cecile Brunner and Pinkie winding their way up the Grotto at an impressive rate. 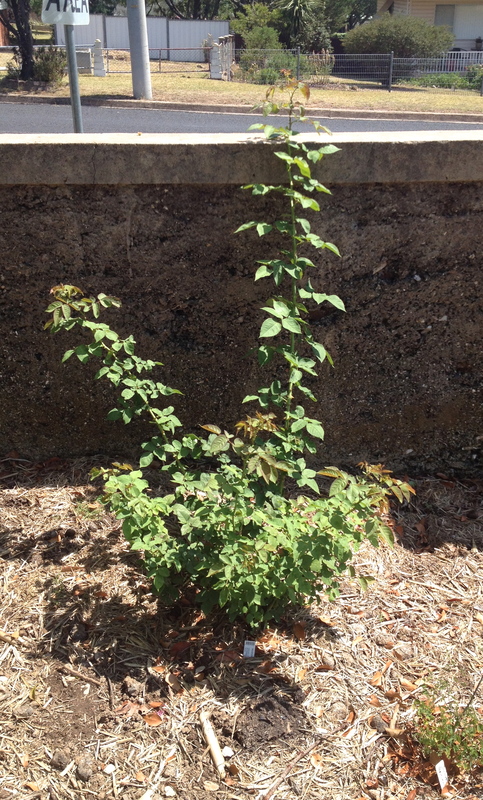 The original old roses have enjoyed the attention and some are showing good signs of new growth. 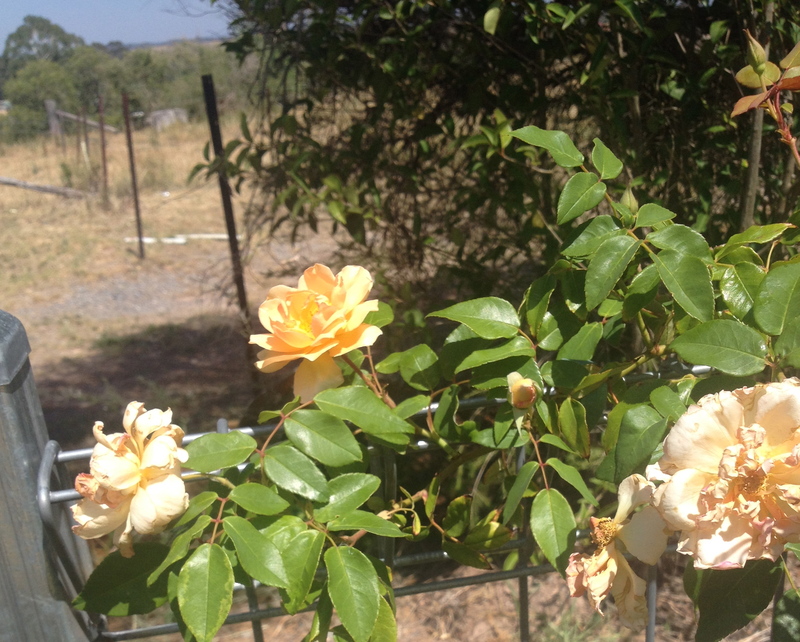 The Fairy roses continue to be stellar little performers and are rarely out of bloom. 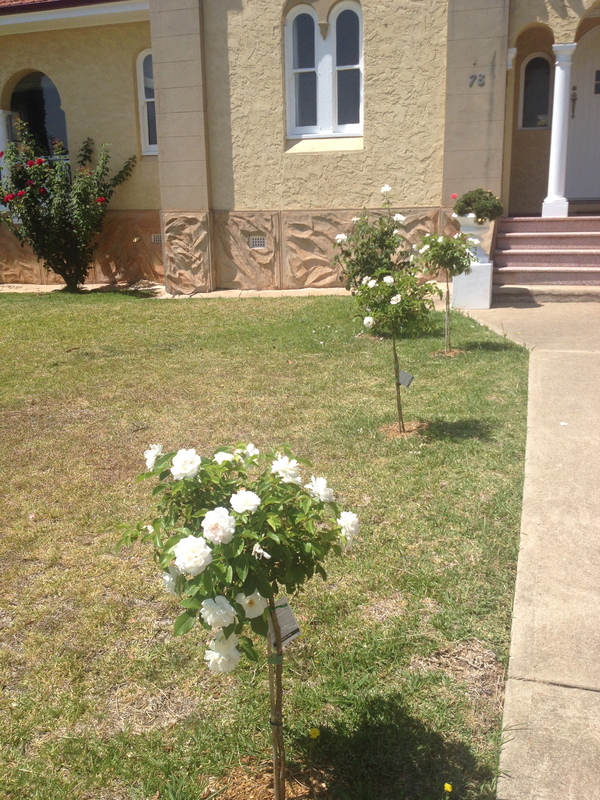 The Good Samaritan signature roses I have planted have also taken well to their positions and regularly flower. I didn’t really know much about the different rose breeders but David Austin roses have quickly become a favourite with their beautiful old fashioned petalled blooms, delicate colours and reliability. I’m probably getting near the end of putting in new roses (until/unless I build new garden beds) but am keen to include some Rugosa or rosehip roses for added interest. 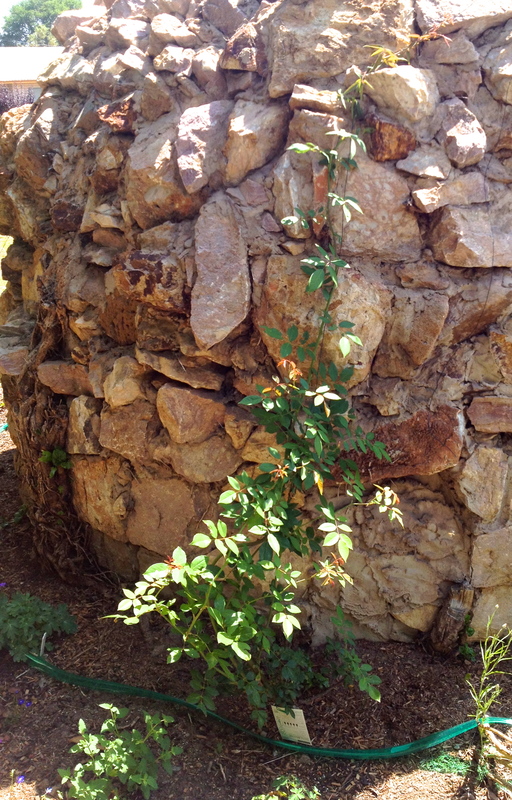 Papa Meillard is a gorgeous climbing rose! I planted one at my previous house must try the local nurseries again to see if I can get another for my current garden.